Their compact casing fits in one hand and can be stowed in your toolbox for all your applications in the field. 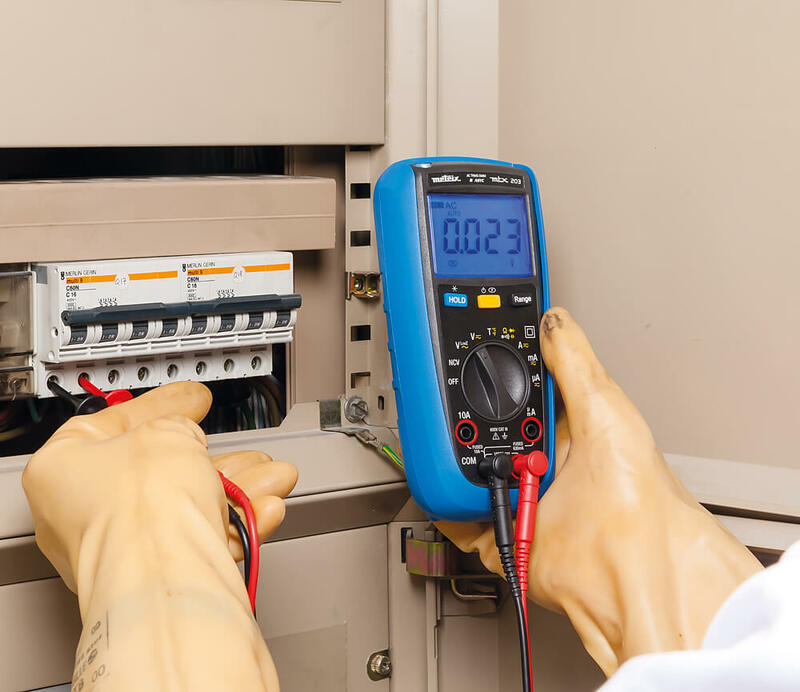 With its magnetized sheath, the multimeter can be used hands-free, even in electrical cabinets. 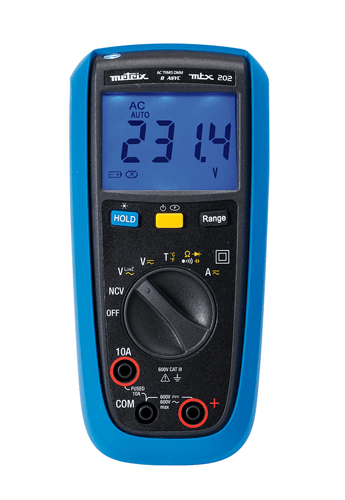 The patented Multifix mounting system is ideal for use with these multimeters, allowing you to hook it onto a cabinet door or your belt or suspend it… The two-position stand ensures easy reading however the multimeter is positioned. Readings are made even clearer by the blue backlighting of the display (4,000 or 6,000 counts depending on the model). The built-in torch means the multimeter can be used even in the dark. The rotary switch offers one function per position. On the front panel, 3 keys are all you need to access all the various functions. The 600 V CAT III, IP54 double-well input terminals are easily accessible. 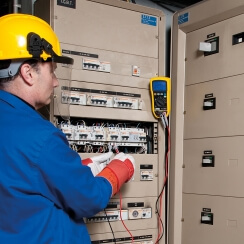 Electrical maintenance operations are optimized thanks to the VLowZ low-impedance voltage measurement function. It is also very easy to carry out initial troubleshooting on PCBs by measuring the resistance, capacitance, diode, etc. verification of radiator control, etc. 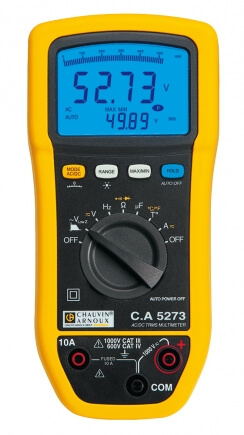 The C.A 5273 is a comprehensive multimeter for electrical maintenance of installations and small AC and DC machines, with a double 6,000-count backlit display and a 61+2-segment bargraph with remanent effect.